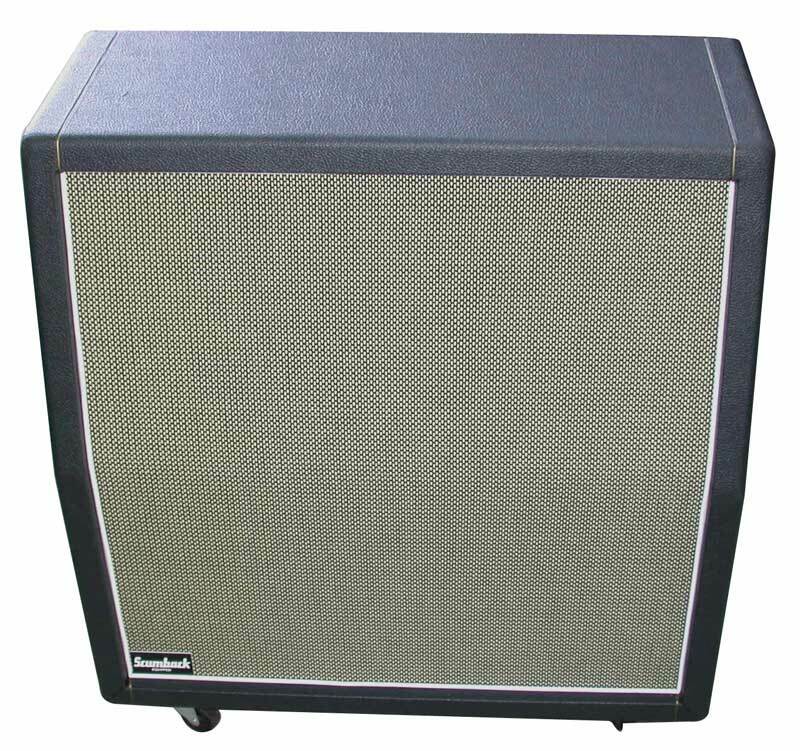 Great looking, incredible sounding cabs! 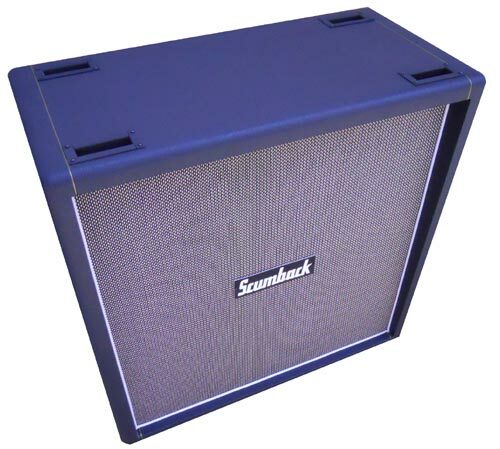 All Of Our Scumback Cabinets Are Currently Out Of Stock. Please Check Back In 60 - 90 Days. 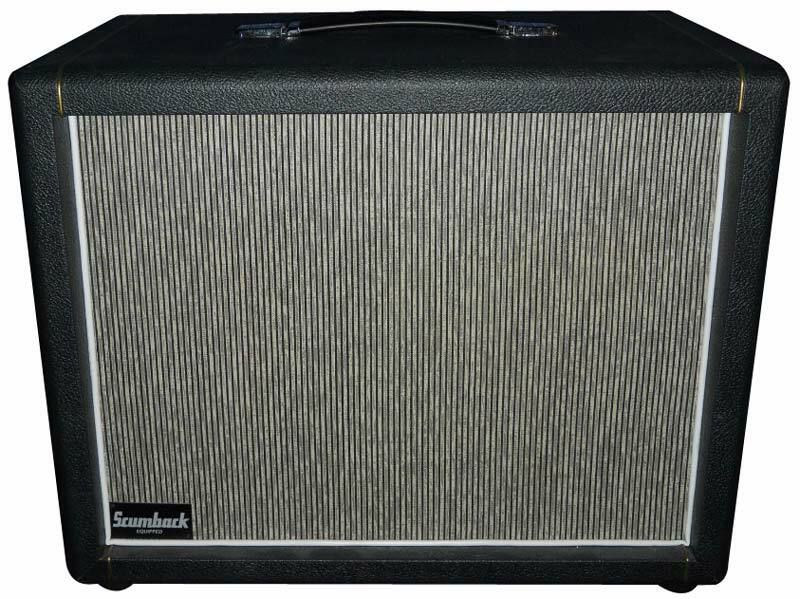 Built like the old 69 slant cabs from the UK! 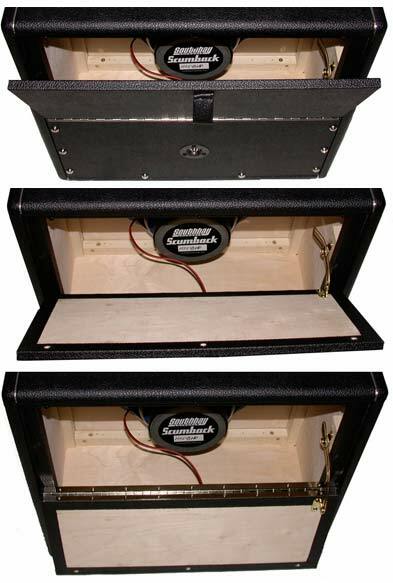 Extra bracing for the casters, and baffle board insure a solid cab that has the tone and rocks like the old ones do! 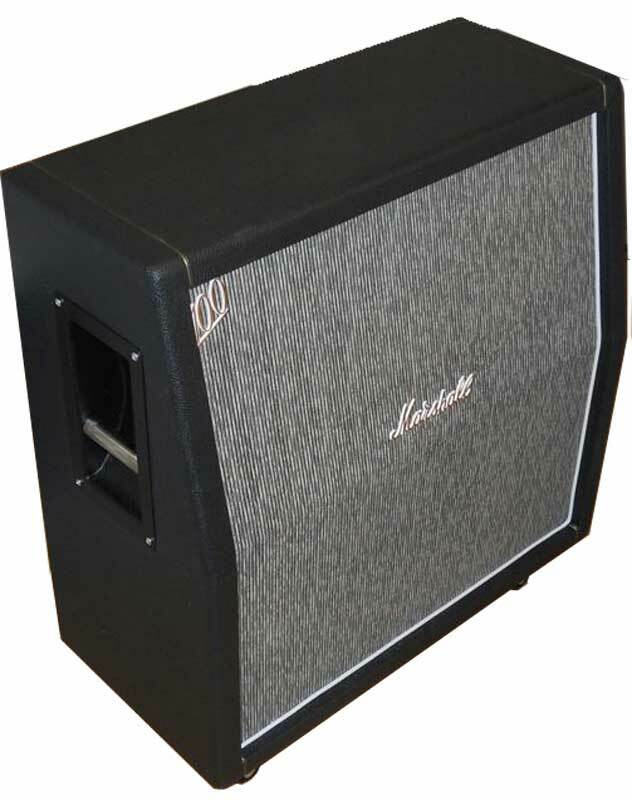 Uses real Marshall™ coverings to give it "the look" of an NOS 60's 4x12. 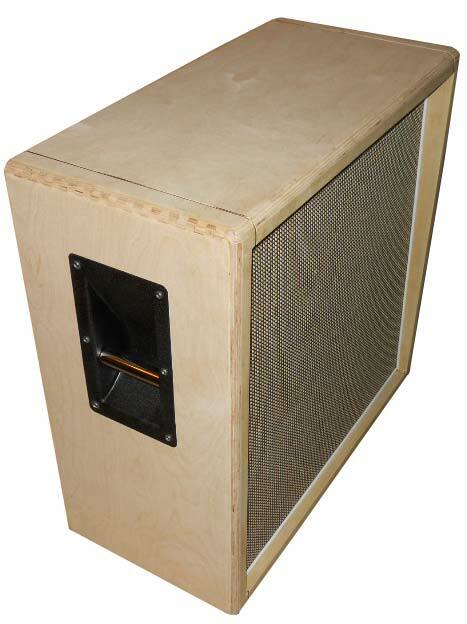 Premium 5/8" baltic birch construction, 5/8" baltic birch front and back panels. 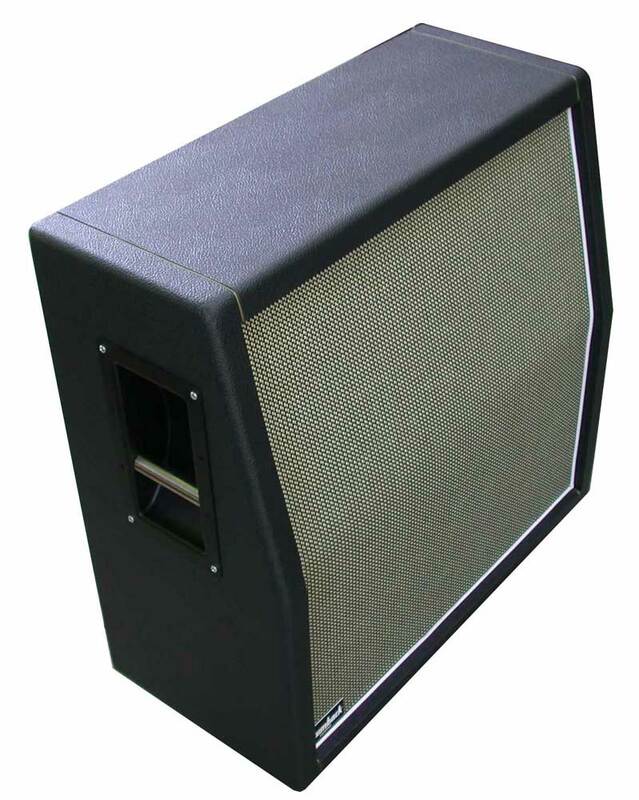 Available in smooth black levant tolex, email or call for other colors. 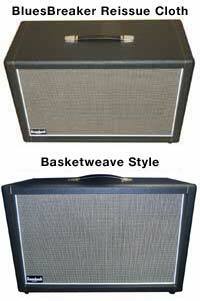 Basketweave or Bluesbreaker style grill cloth, call for other grill cloth options. White piping around the grill cloth, thin gold piping over the top and bottom. 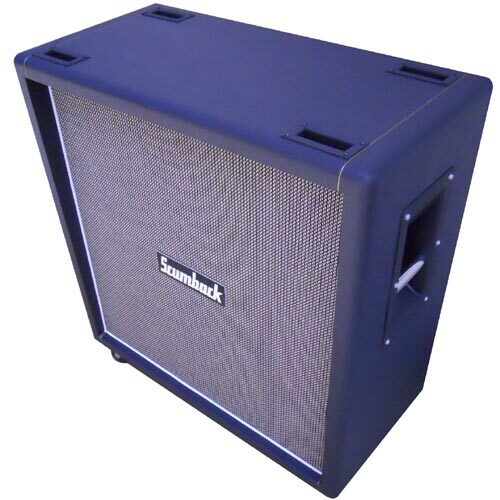 Durable cover included with each cab. Weight: 42 lbs (unloaded), 80-84 lbs (loaded with M or H series Scumbacks). $799 without speakers, $1399 with your choice of Scumback M or H series ceramic speakers, $1799 with Scumnico Alnico speakers. 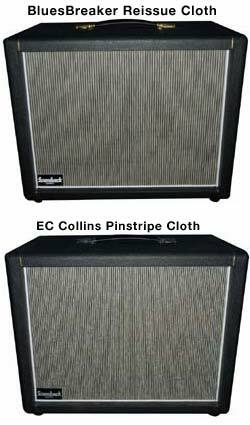 EC Collins' "True Bluesbreaker-Pinstripe" cloth available, $450 upcharge. 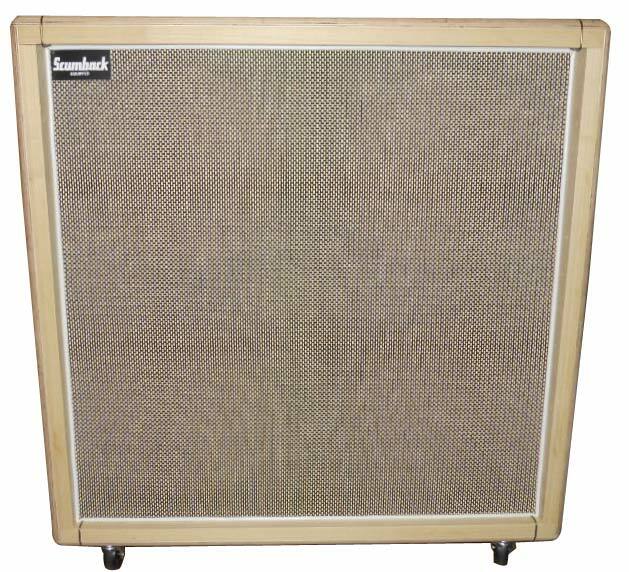 See cabinet w/ bluesbreaker-pinstripe cloth. A 50% deposit is required to start your cab order. Cabinets take 2-4 weeks after receipt of deposit. SHIPPING: Shipping Fees for overseas, Alaska, Hawaii, and Puerto Rico clients will be calculated after the order is placed and an additional invoice or "PayPal Money Request" will be sent. Please contact me if you have any special shipping needs, customs declaration invoices or questions. Thank you. 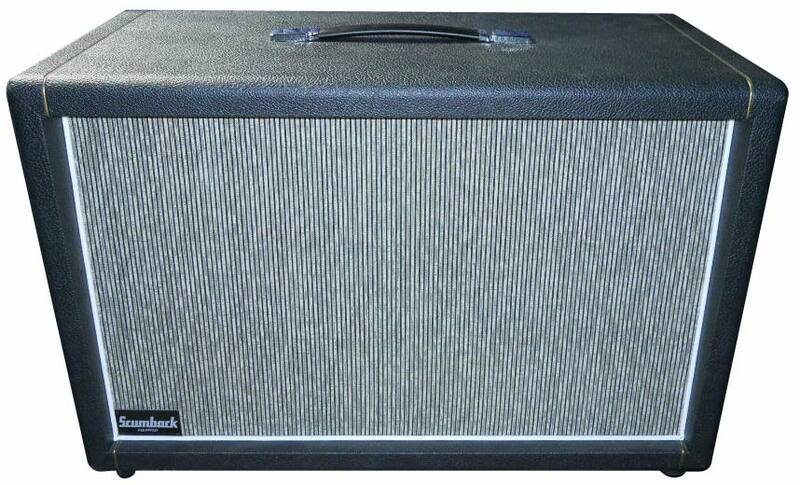 Built like the old 69 straight cabs from the UK! 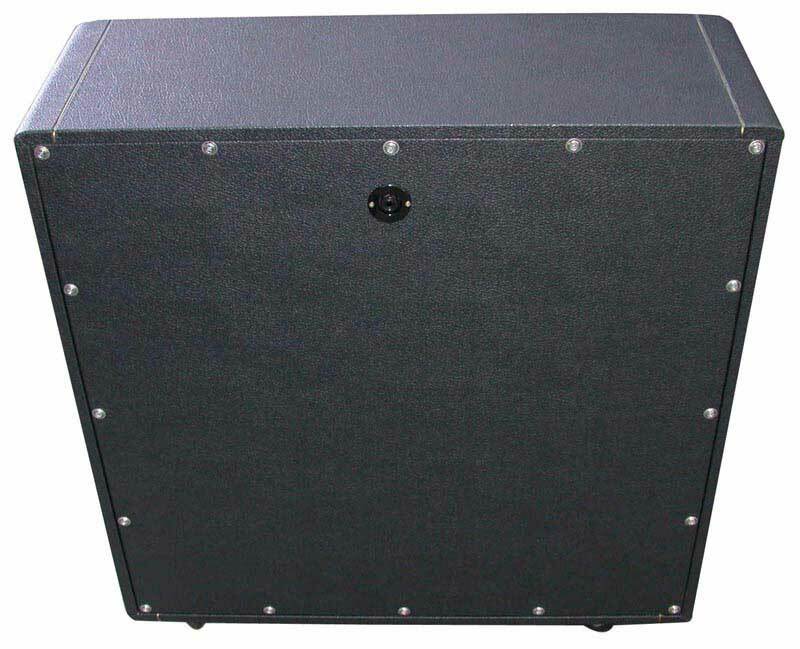 Extra bracing for the casters, and baffle board insure a solid cab that has the tone and rocks like the old ones do! Metal caster cups installed for use with a slant cab in a stack. Extra bracing for the casters, and baffle board insure a solid cab that has the tone and rocks like the old ones do! 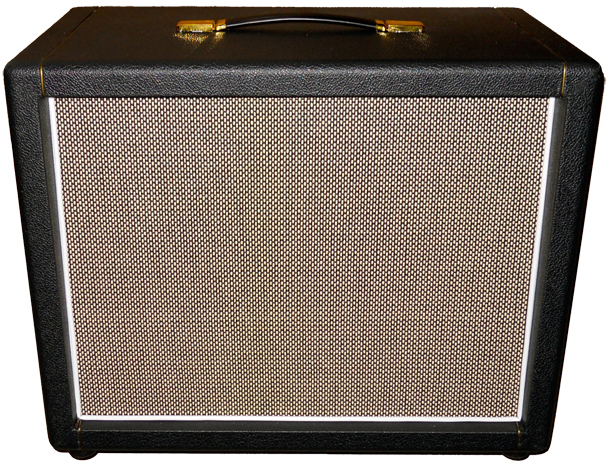 The naked cab can also be purchases as a slant cab, if the client prefers. 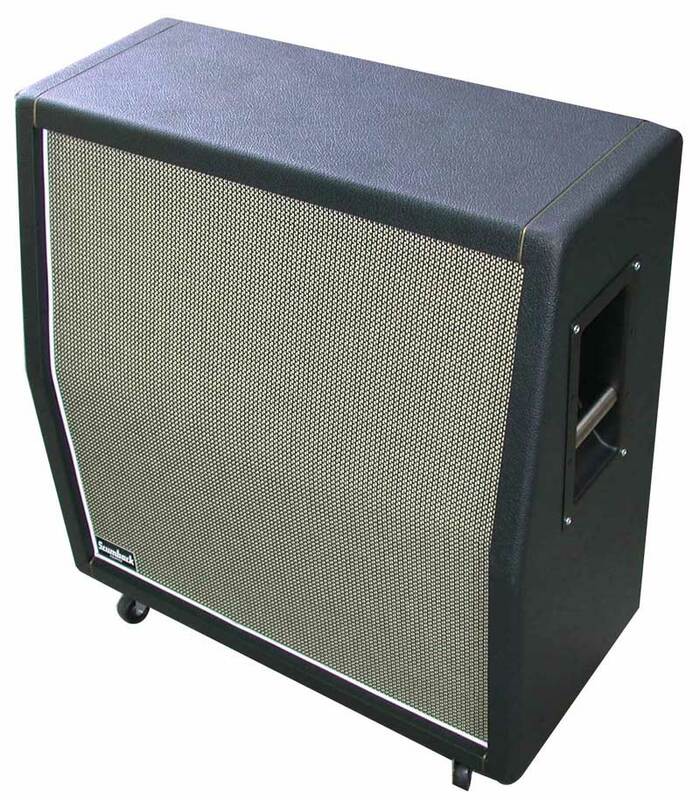 Uses real Marshall™ grillcloth to give it "the look" of an NOS 60's 4x12 cab, but without tolex for the most vibrant tone. 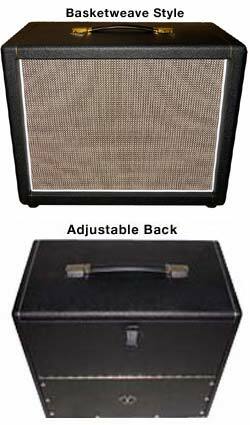 No tolex, as per Dave Friedman's old 1971 straight cab he's used for years in his shop. $699 without speakers, $1299 with your choice of Scumback M or H series ceramic speakers, $1699 with Scumnico Alnico speakers. 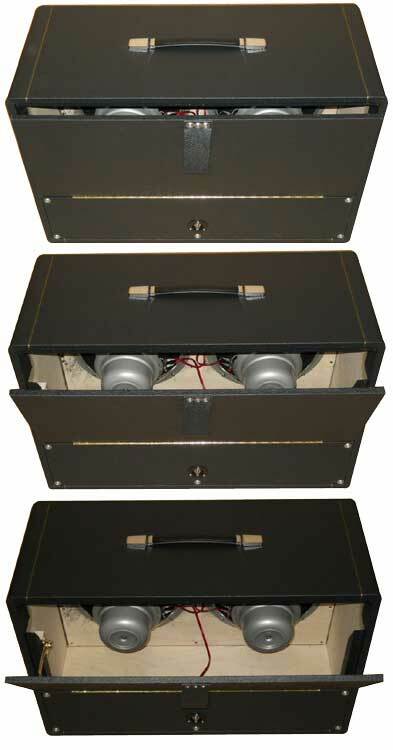 Slanted front baffle board aims the speakers up towards the player. 5/8" baltic birch cabinet sides, 1/2" baltic birch front and back panels. 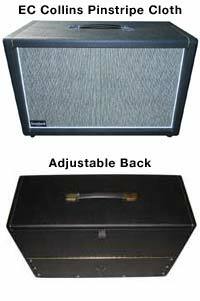 Adjustable back design, allows the player to adjust the back pressure to alter bass response for the speakers used or to tailor his tone for the amp & guitar used. 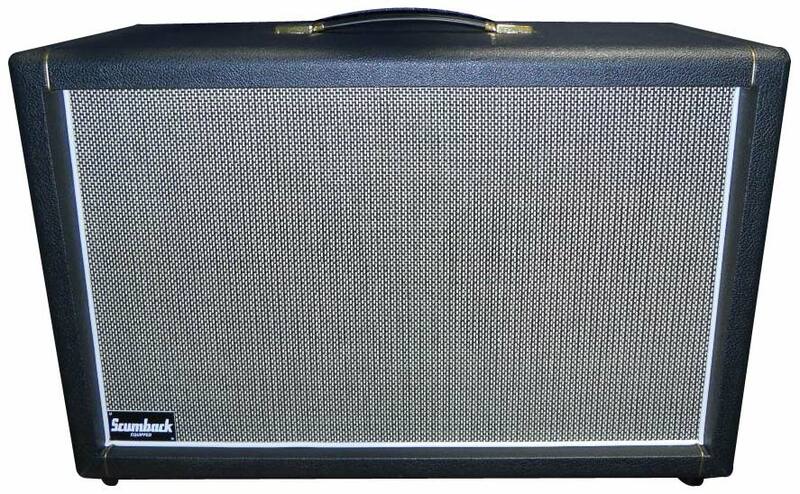 This makes getting "your tone" a lot easier in a club or recording situation. The top half of the back panel is mounted on a piano hinge which allows it to be opened and is full cab width for stability. 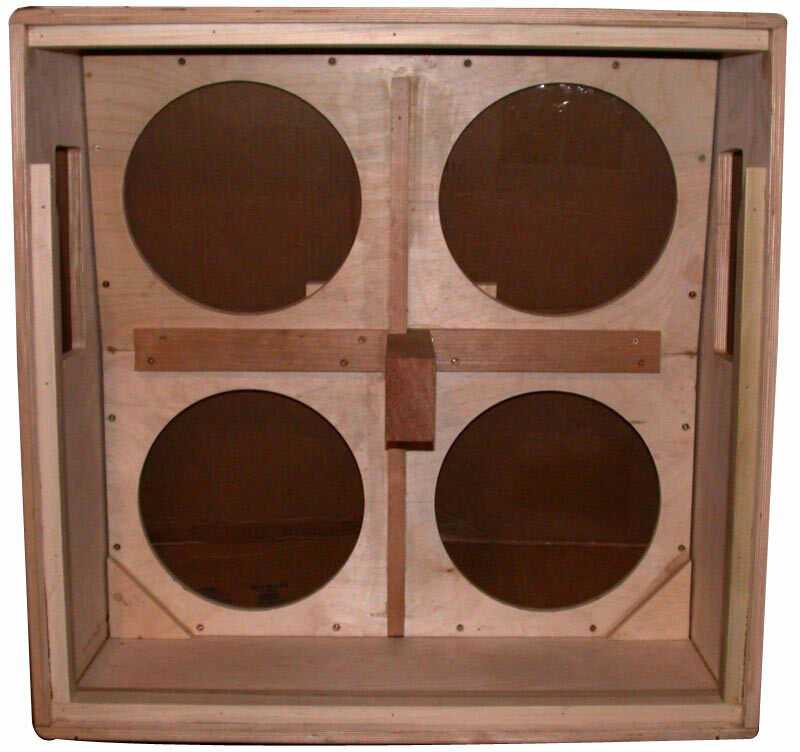 The same panel also has a sliding lid hinge which allows the player to set the panel from 1/8" open to full to adjust for bass response, back pressure, "air", and tailor the tone to taste. The adjustable back feature allows you to have a closed back, partially open back, or completely open back cabinet without buying different back panels, or using any tools to convert from one mode to another! 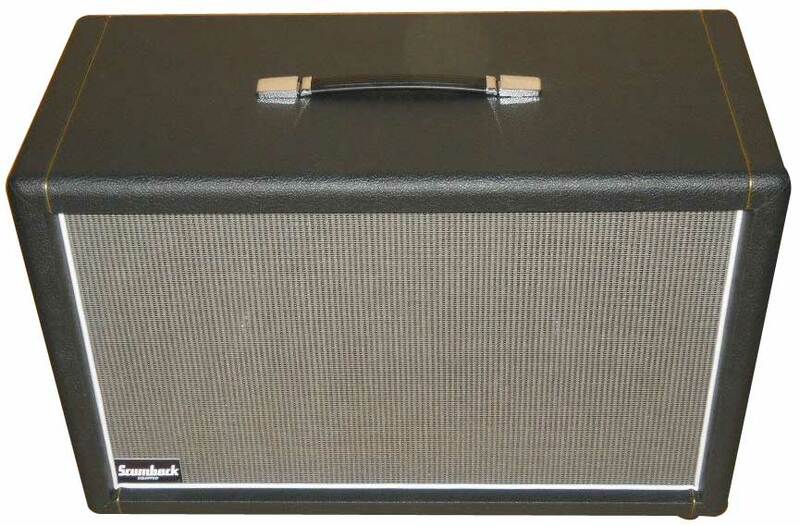 Available in smooth black levant tolex, call for other colors. 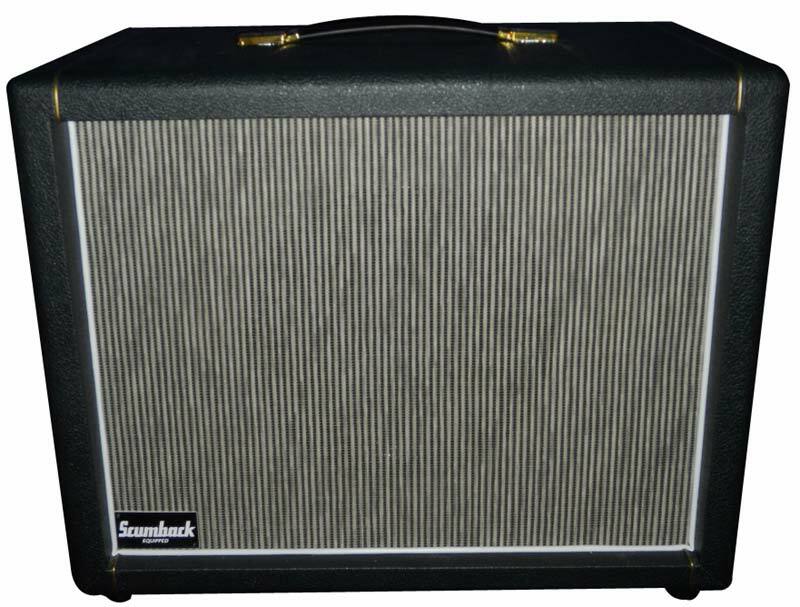 Bluesbreaker style grill cloth, with white piping around grill cloth, thin gold piping over the top and bottom. Large rubber feet for solid bass response and durability. Baltic Birch cab: 29 lbs (unloaded), 48 lbs (loaded with Scumbacks). $600 without speakers, $938 with your choice of Scumback ceramic speakers, $1099 with Scumnico Alnico speakers. 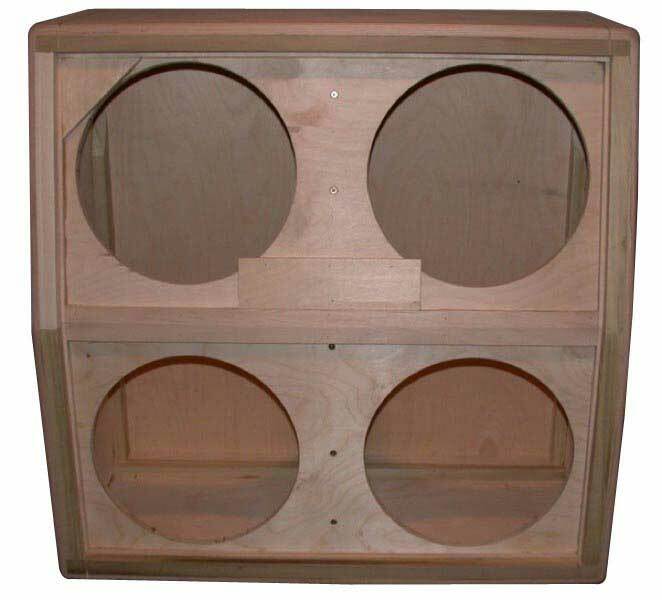 Construction: 5/8 baltic birch plywood sides, 1/2" baltic birch front baffle board and back panel. Size: 24" W x 18" H x 13" D (the rubber feet raise it up another 3/4", by the way, the cab without rubber feet is 18" high by itself, 18 & 3/4" with the rubber feet). 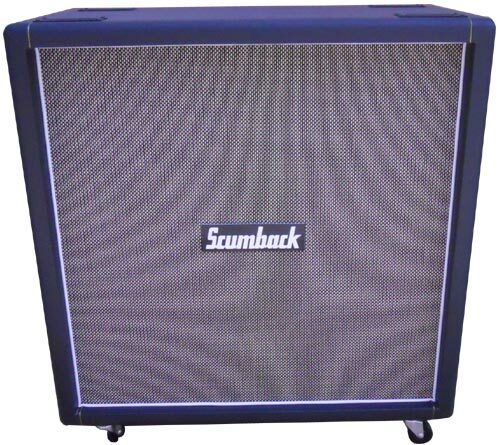 Cost: Unloaded $500.00, $659.00 loaded with your choice of Scumback Ceramic 12", $749.00 with Scumnico 12"
Shipping/sales tax (CA residents)/paypal fees are additional.